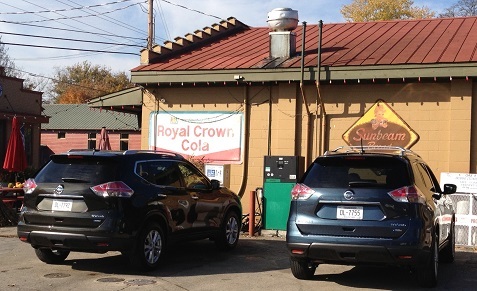 I was on hand on a beautiful fall day in Nashville to drive the all-new 2014 Nissan Rogue. The Rogue is the latest in a series of redesigns from Nissan as the entire lineup has been revamped. With the Rogue we see many of the exterior and interior design improvements we’ve seen in other Nissan models we’ve tested. The new Rogue has been completely redesigned with a more muscular look. The new vehicle is taller and wider than its predecessor with a longer wheelbase. All new headlamps and front grille replace the harder edges of the front facia of the current model. The high, muscular ridges along the wheel wells also enhance the styling of this compact CUV. The new model also incorporates new design elements like available LED headlights and standard LED signature daytime running lights. Check out the slideshow above and you’ll see how the vehicle looks great from every angle. The Rogue interior was impressive and comfortable. Soft touch materials and premium trim accents were added in all the right places, and I liked the oversized center console that has room for a 10” tablet computer. Nissan emphasized the “Zero Gravity” seats developed from NASA research on natural-stress-free postures measured in zero gravity. They are designed to optimize comfort and reduce fatigue. I spent the good part of the day in the Rogue and can attest to the seat comfort. For the first time, Rogue will offer optional 3-row/7-passenger seating. This isn’t intended to have this compact CUV compete with larger models, but it offers younger families some flexibility when needed. The cargo area was well put together with the Rogue’s Divide-‘N-Hide cargo system which helps keep wet/dirty items like muddy soccer gear separate from clean dry items with an easily cleaned lower level. The two-piece cargo organizer has 18 possible configurations, and combined with the back seat folding options offers plenty of flexibility. I particularly liked the class-exclusive Around View Monitor available in the SL model. The ability to have a 360-view of the space around the vehicle along with the rear-view camera makes maneuvering in tight spaces a breeze. Other available features include Moving Object Detection, Blind Spot Warning, Lane Departure Warning and Forward Collision Warning. The Rogue features a 2.5-liter 4-cylinder engine that is rated at 170-horsepower and 175 lb-ft of torque along with the Xtronic CVT transmission with a sport mode option. The power was adequate for this class of vehicles though acceleration sometimes lagged. But drivers will get a best-in-class highway fuel economy of 33 MPG. The handling was more impressive as the Rogue easily zips around corners. Also, Nissan has added technology features which help to stabilize the vehicle around corners in slippery conditions. The Active Trace Control technology can automatically engage the inner and outer brakes to optimize the line through turns and I was impressed as we tested this on wet surfaces. Drivers can also decide to turn this off. The compact CUV segment is growing but it’s also very competitive. With this redesign the Rogue will likely remain a popular choice among consumers and should be on consumers’ test drive list. Pricing for the 2014 Rogue starts out at $22,490 for the base S model with front-wheel drive, and then can go over $32,000 for the SL AWD with the premium option package. 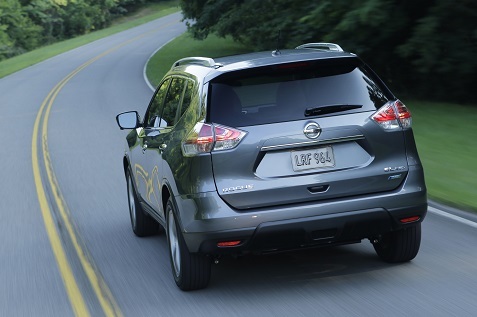 However, in order to attract buyers looking at lower pricing options, Nissan will continue to build the 2013 version of the Rogue as a 2014 model called Rogue Select. This vehicle will start at an MSRP below $20,000 and offers an option for customers who want a compact CUV at the lower price point.